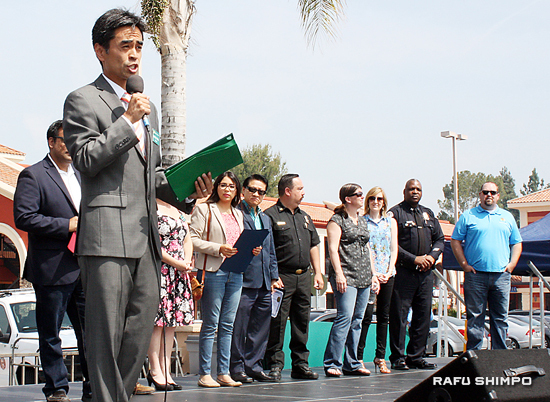 West Covina Mayor James Toma, joined by other local dignitaries, welcomes attendees to the West Covina Cherry Blossom Festival, held March 19 at South Hills Plaza. A crowd of 5,000 enjoyed the celebration of Japanese American culture. 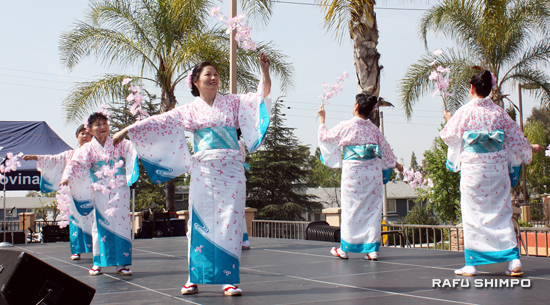 The festival is co-sponsored by the East San Gabriel Valley Japanese Community Center, City of West Covina and South Hills Plaza. Dancers from Hoshun Minyo Dance perform for the crowd gathered by the main stage. 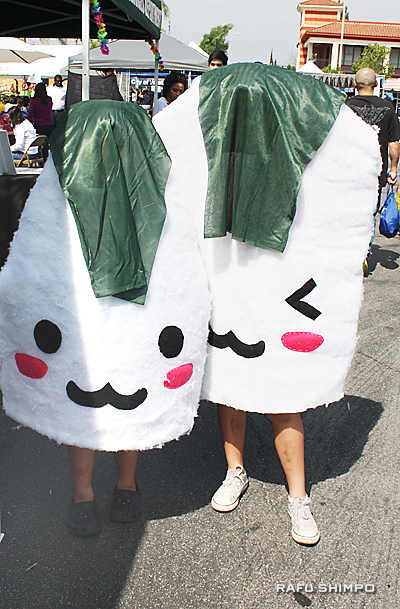 Children get into the spirit in musubi costumes. 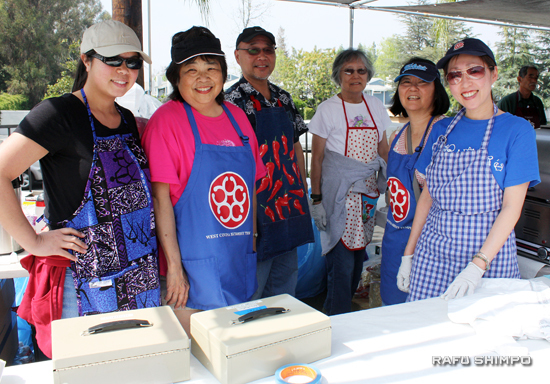 Members of West Covina Buddhist Temple served sushi and chicken teriyaki. Above and below: Both women and men from Napua Lehua performed Hawaiian dances. 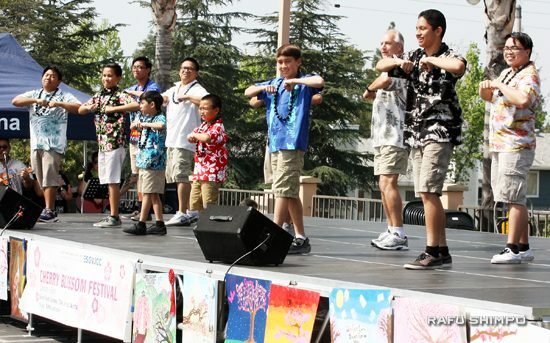 Entertainment also included ESGVJCC shinkendo and aikido, U.S. Black Belt Center Taekwondo, Kokoro, Covina Kendo Dojo, Eibukan Goju Ryu Karate Do, West Covina Judo Dojo, and Kishin Daiko. To see more photos, visit ESGVJCC’s Facebook page.